One of the most polarizing franchises in the horror industry is the Saw Franchise. Love it or hate it, it was a huge part of the horror industry. Just over a decade ago on Halloween weekend, Saw and the character of Jigsaw re-introduced the world to gory torture horror. For seven straight years “If it’s Halloween it must be SAW” was a Halloween tradition. This October 27, Lionsgate and Twisted Pictures have retaken the Halloween release date with Jigsaw! 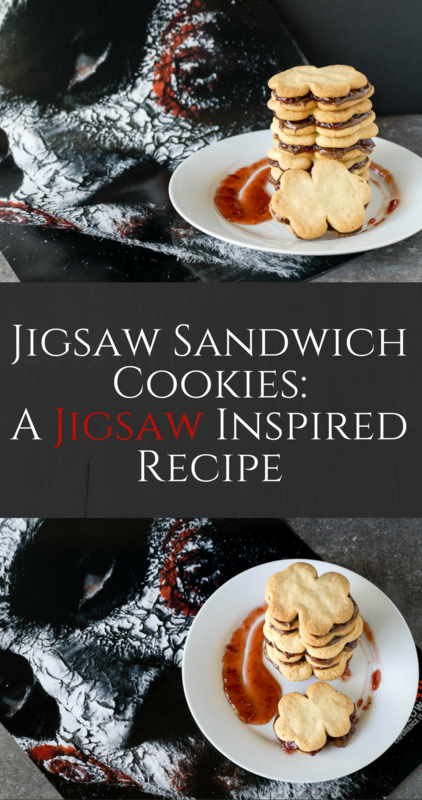 To celebrate the return of the Saw franchise, we’ve created a new recipe for Jigsaw Sandwich Cookies! The inspiration for these cookies is fairly obvious. While Jigsaw is the name of the movie, we were actually inspired by the calling card left by Jigsaw. If you aren’t familiar, each victim has a puzzle piece cut out of their skin. 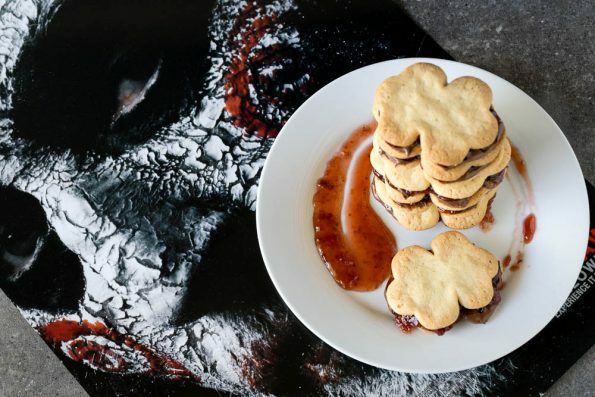 We used strawberry jam and Nutella to create a kind of gory and messy filling that would be reminiscent of blood but still remain tasty. Always trying to spice things up, we are doing this giveaway a little differently than usual. Normally, we give away screening passes for movies, however, this time we are giving away 2 pairs of run of engagement tickets which means you can see Jigsaw, any time during its theatrical run! 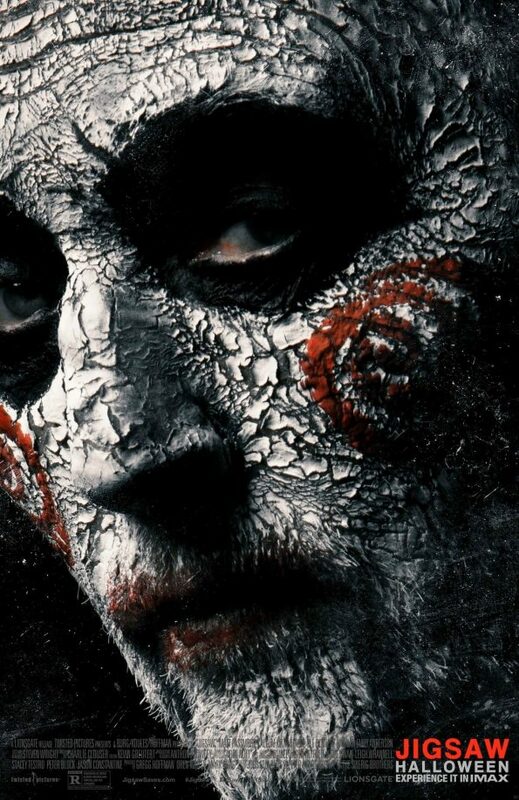 All you have to do to enter is tell us your favorite Saw movie in the comments below. The winner will be chosen on tomorrow at 5pm, October 27th, so you’ll need to enter quickly! Good luck! Using a puzzle piece cookie cutter, cut out desired amount of cookies (make sure to cut an even amount). Once cooked, allow to cool to room temperature. For each sandwich, spread strawberry jam on one cookie and Nutella on the other cookie. Put together to create the "sandwich". *The Geeks received no compensation to facilitate this write-up; opinions are wholly our own. ROE tickets provided by Fingerpaint Marketing. View our Disclosure Policy for more info. My favorite Saw movie was the very first one. It spooked me to the core and that is hard to do. I literally couldn’t sleep the whole night. Hard to not say the first one, but I think i have to go with 5. Not only did it bring the series back together, but almost validated some of the lesser sequels and gave jigsaw some relatability.